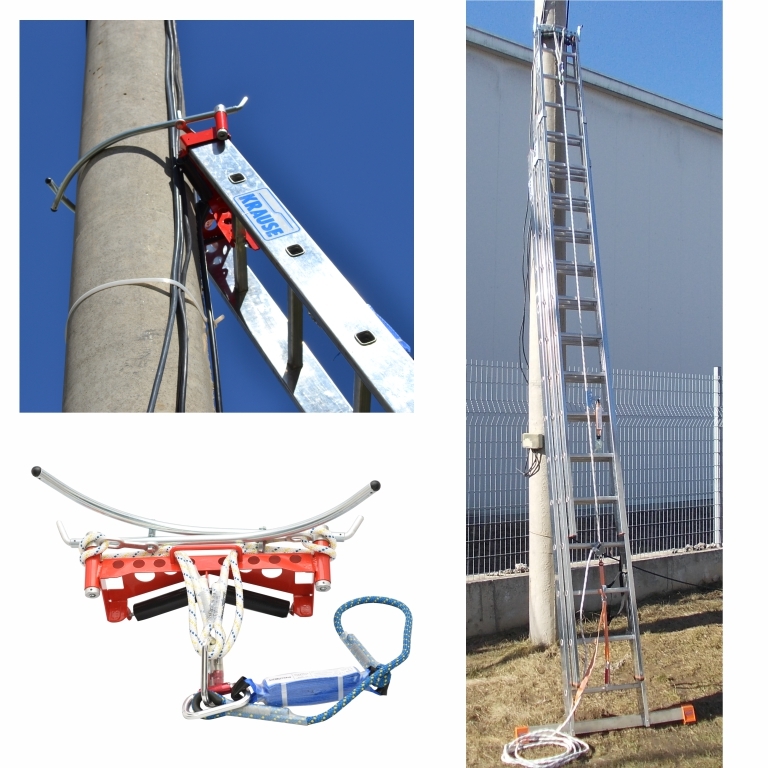 The detachable anchoring and fixing device, pliers type, provided with fall arrester device, is intended for the anchoring and fixing of KRAUSE multipurpose ladders on poles of various cross-sections: on circular poles with diameters between 150 ÷ 450 mm and on poles with a rectangular cross-section with sides of maximum 450 x 335 mm. This device prevents the tilting or slipping of the ladder and can be used as the protection against falling from height of a worker working on the ladder, by using a sliding fall arrester on a flexible rope. 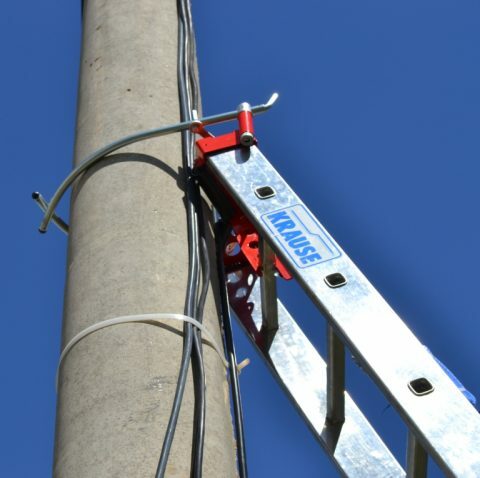 By handling from the ground the anchoring device`s plier, the ladder can be leaned, anchored and fixed on the poles of power lines, provided with under-crossing of cables belonging to other utilities (TV cable, optical fibre, etc.). The anchoring and fixing system can be mounted/dismounted at the upper extremity of the ladder (top section) and fastened using its own locking system on the first rung of the ladder. The flexible rope with fall arrester and energy absorber is attached through the carabiner at the actuating cord of the pliers. The tensioning and locking system includes an adjustable strap, a carabiner and a locking device. The system is intended to maintain the flexible rope tensioned in order to avoid the accidental opening of the pliers. 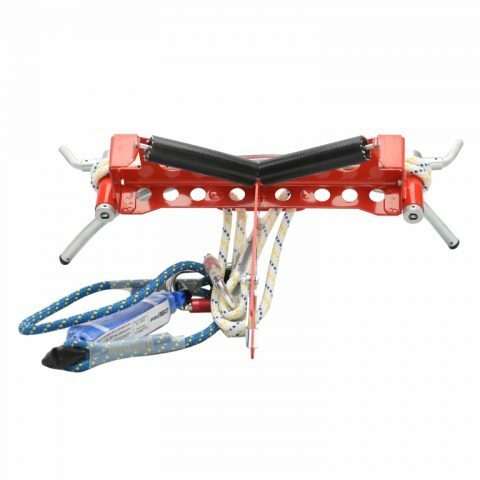 The detachable anchoring and fastening system must be used by a single person. The worker must use personal protective equipment that includes a safety harness and at least one work positioning lanyard. The detachable anchoring and fixing device is delivered in a waterproof protective bag.